A Review from The Historical Novel Society! A Map for ANCIENT WRATH: The Ancient Aegean World circa 700 B.C. 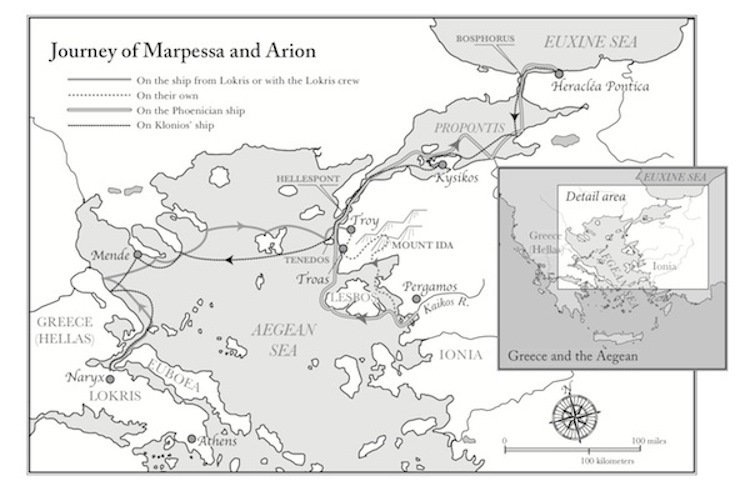 Graphic artist Carol Collier produced this map of the Aegean circa 700. B.C., to accompany ANCIENT WRATH when it is published, so that readers can trace Marpessa and Arion’s journeys through the world of Archaic Greece. Click on the map to enlarge it. The publication of ANCIENT WRATH is set for November 24, 2015. Posted on September 18, 2014 September 18, 2014 Author BarbaraCategories What's New?